Nice product considering the price, quality, and thread count. It does lose a slight touch of color after the first wash, which is cold wash only. It's a bit lighter in color than some other maroon sheets I've bought in the past but not the worst either. I gave 4 out of 5 stars because of the slight color fade (HE washer and dryer, & HE liquid detergent).These sheets are on the thin side compared to my other ones but right now, they're nice in this New England summer heat. They'll be fine too in the winter, and I always get naturally hot at night so they'll be perfect. Home territory searches the web to find the best prices and availability on Bedskirts and related products foir your home like 1500 Series Egyptian Quality Microfiber SHeets and Pleated Bedskirt Set. 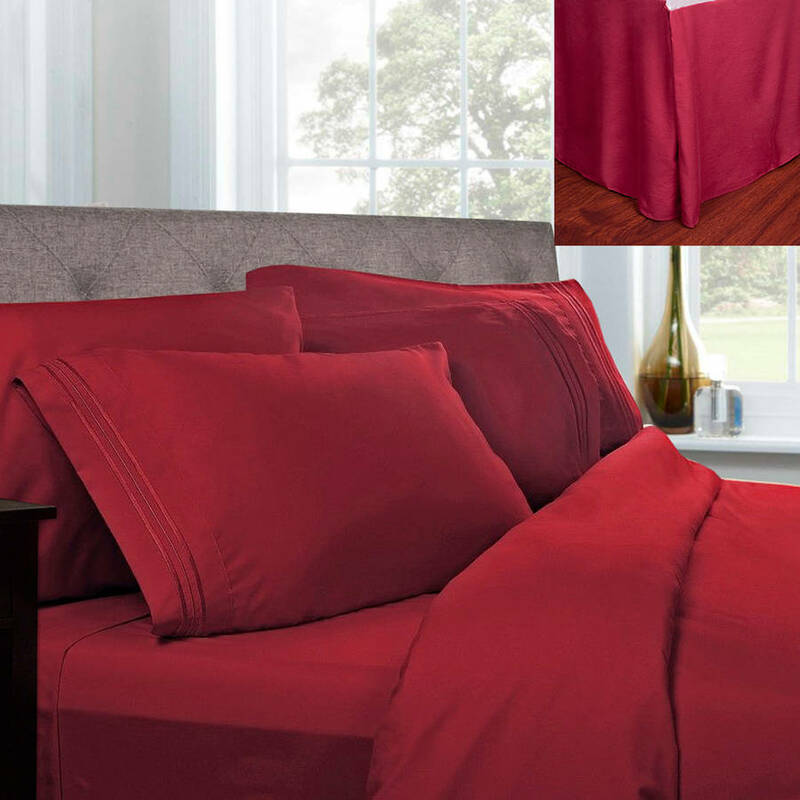 For this page, related items include products we find that match the following keywords: "Bedskirt" at our vendor partner Walmart - Click More Info / Buy Now to check for price rollbacks!. 1500 Series Egyptian Quality Microfiber SHeets and Pleated Bedskirt Set is one of 149 Bedskirts and related products available for sale through HomeTerritory.com, If you have any questions on this product, please give us a call at 734-971-1210 during the hours of 9am - 5pm EST for assistance. Thank you for shopping at Home Territory, the home furnishings superstore!